Anyone who is close to me, knows I love to eat. Don’t call me to play tennis, don’t call me to run a marathon, call me when you want to eat. My favourite past-time is dining out. I am happiest when I am sharing great food with those I love. A few years ago, my cousin introduced to the macaron when we were visiting Napa Valley. We were just two couples but yet she bought a whole box full. I naively asked, “Isn’t that a bit too much?” She explained that these macarons were beyond amazing and she only has them once in a while since there was only one Bouchon Bakery in Northern California. Silly me for doubting her, as soon after we were fighting for the last crumbs. Great, now I was addicted to something that was on the other side of the country. When I got back home, I looked into where other Bouchons were since my private jet was unavailable to fly me to Napa Valley on a weekly basis. There was one in Vegas and another in New York. Shortly after, the quest for macarons went into effect. My poor brother was stuck smuggling macarons back after his boys’ trip to Vegas. My girlfriend had to fly them across the ocean after her trip to Paris. 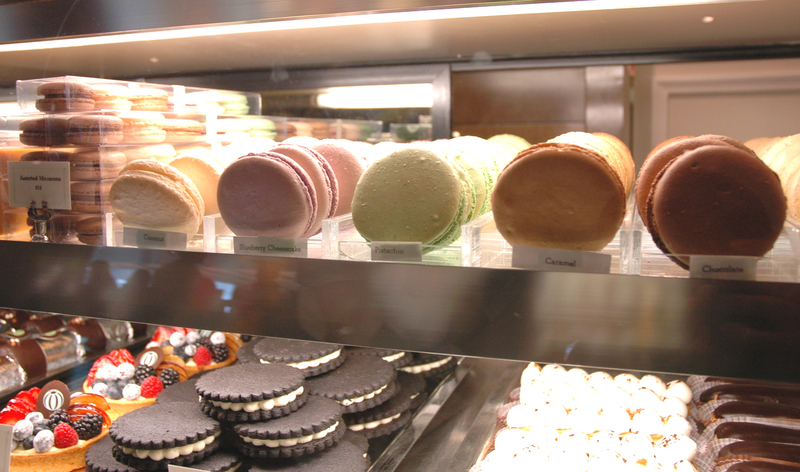 And yes, I planned a trip to New York, simply because I craved Bouchon’s macarons. 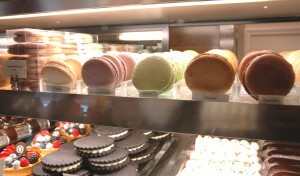 Since then I’ve also savoured macarons from the iconic Laduree in Paris. Luckily, I live in Montreal where french pastries are in abundance, but I’ll always remember my first. Hope to return to the beautiful vineyards of Napa Valley, not for the wine…but for the melt-in-your mouth macarons at the little Bouchon Bakery.